MONICA FOCARETO (nee Murphy), Age 86. 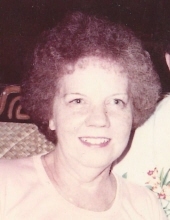 Beloved wife of the late Andrew A.; loving mother of Patrick, Jean Socha, Michael (Caroline), Raymond (deceased), Monica Focareto, Thomas (Betsy); grandmother of 16; great-grandmother of 8; sister of John Murphy (Kathleen) (both deceased), Jerry Murphy (Arleen) (both deceased), Maureen Spellacy (Jack) (both deceased), James Murphy (Lil), Michaela “Mikie” Adams (Butch) (both deceased), Madonna McTaggart (Buddy), Tom Murphy (deceased) (Jean), Margaret Lynch (Eddie), Brian Murphy (deceased) (Vivian) and Patrick Murphy; aunt and great aunt of many. Passed away Friday, April 12, 2019. Funeral Mass St. Patrick Church (3602 Bridge Ave.) Wednesday, April 17 at 10:30 a.m. Interment Holy Cross. Friends may call in the McGORRAY-HANNA FUNERAL HOME OF LAKEWOOD, 14133 DETROIT AVE., TUESDAY 3-7 P.M.
"Email Address" would like to share the life celebration of MONICA FOCARETO. Click on the "link" to go to share a favorite memory or leave a condolence message for the family.